Cuisinart 1.5-Quart Saucepan Just $17.95! Down From $75! You are here: Home / Great Deals / Amazon Deals / Cuisinart 1.5-Quart Saucepan Just $17.95! Down From $75! At Amazon, you can score the Cuisinart 1.5-Quart Saucepan for just $17.95 down from $75 PLUS FREE shipping with Amazon Prime or for orders $25 or more! Stainless steel interior is ideal for delicately simmering sauces, perfectly sautéing vegetables, browning meats, or boiling several servings of pasta. A tight-fitting stainless steel cover seals in food’s natural juices and nutrients for healthier, more flavorful results. The cover is dishwasher-safe. 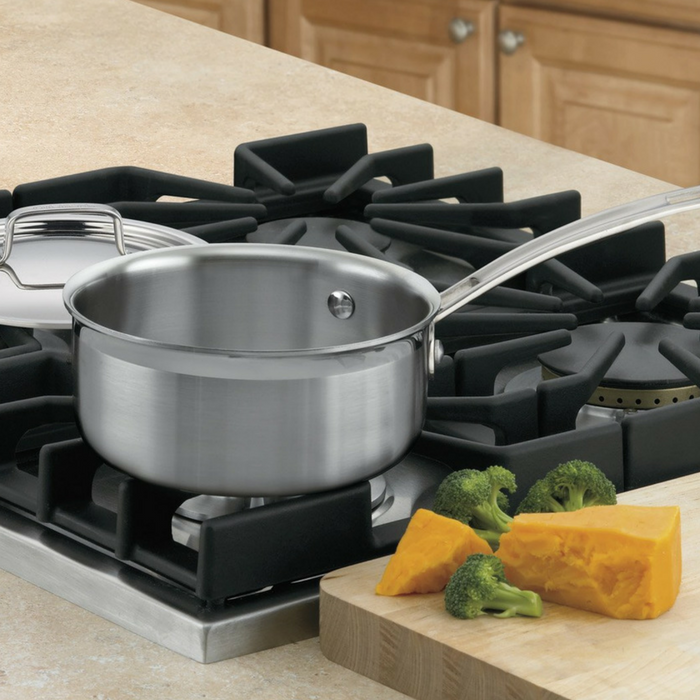 The exclusive Cool Grip handle stays cool on the stovetop. The handle’s unique thumb rests are riveted for perfect balance and ultimate control when lifting and pouring.